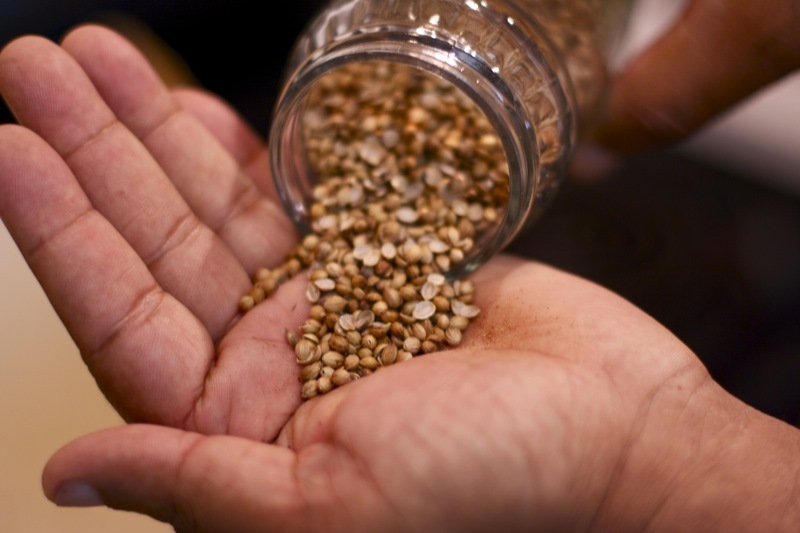 Lentils – collectively called daal – are a staple in South Asian cuisine – many families serve them every day at dinner with rice, naan, or chapaati. Since lentils are such a simple food (and since there are often leftovers that you have to enhance for the next day), it’s all about maximizing layers of flavor. 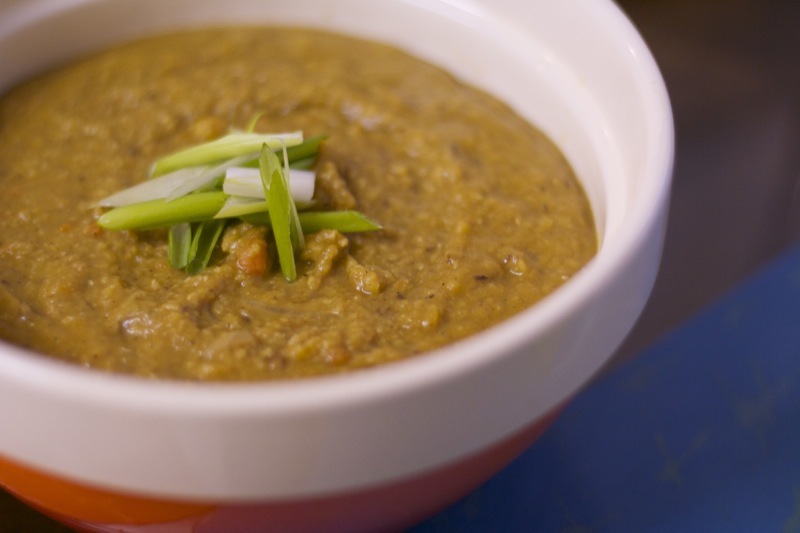 Onions, garlic, and any spices that are cooked into the lentils will mellow as the daal simmers. So, right before serving, we pump up the impact by adding a highly-flavored oil to the daal. 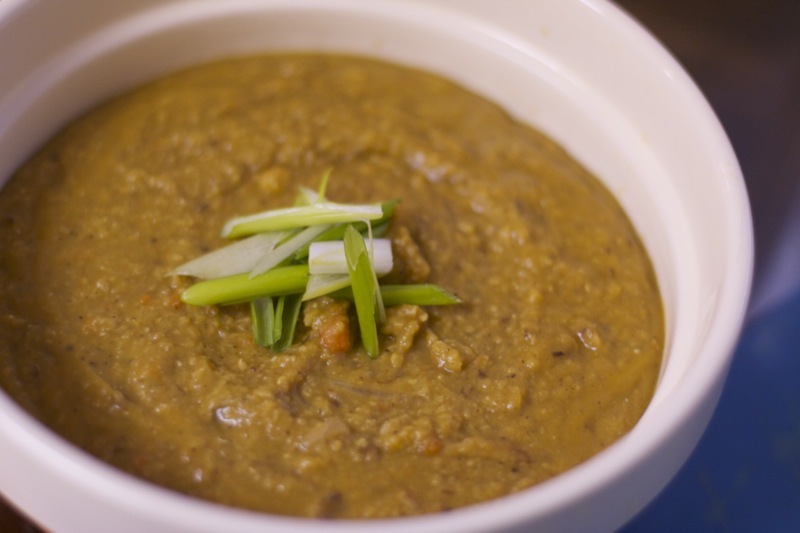 Here’s what you do for a traditional tarka to put over an South Asian daal. This is my dad’s technique! 1. Heat a neutral oil (canola, peanut, etc.) or butter, or a mixture of both until hot but not smoking. 2. Add your flavors – any combination of what you have around. Start with some fresh basics (slivered ginger and garlic, thinly sliced onions, sliced green or red chilis) and cook just until fragrant. 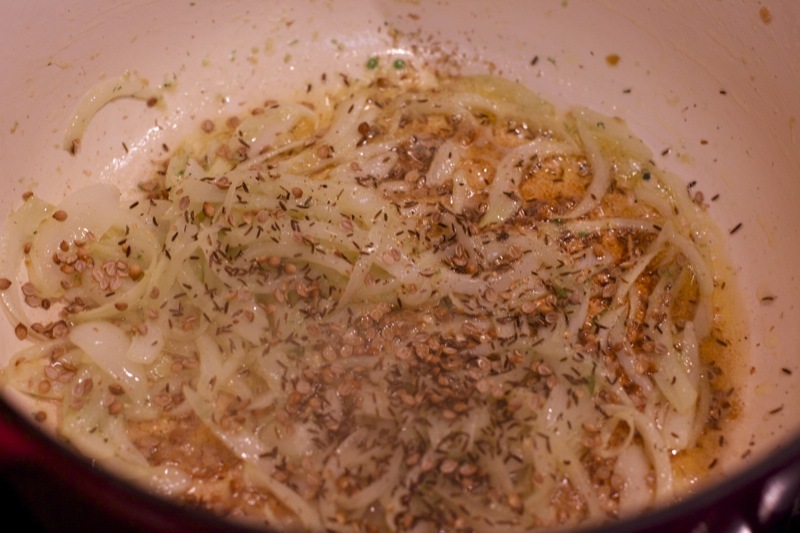 If you’re using fresh onions, cook them until they’re browned before adding the garlic and ginger. You can get packets of fried onions from Indian/Pakistani stores that make this process quicker and result in a deeper taste. Then add whole spices (brown cumin seeds, black cumin seeds, coriander seeds, dried curry leaves) and cook until fragrant. As you put them into the hot oil, crush them a little with your hands to release the flavors. 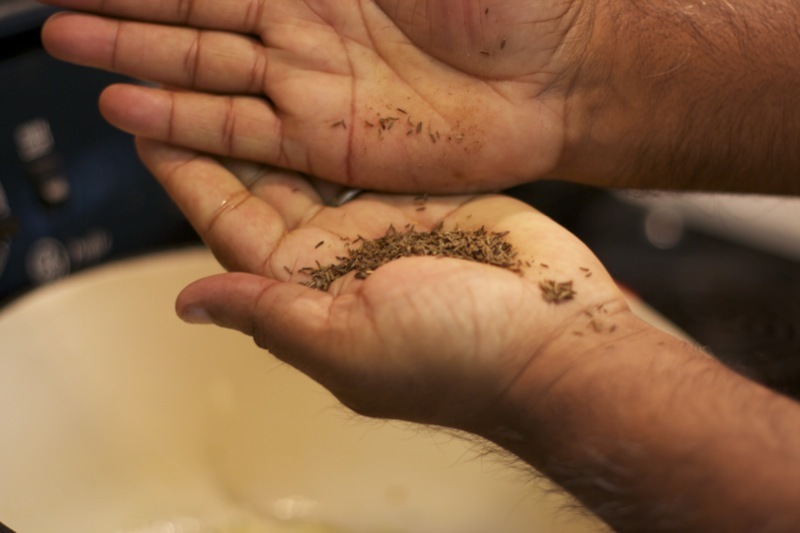 You don’t want to use any fresh herbs unless they’re very solid things (no cilantro). If you’d like a bit of a sour note, finish with some lime or lemon juice. 3. Now you have two options: some people pour the hot daal into the hot oil and then pour into a serving dish. Some people pour the hot daal into a serving dish and then pour the hot oil on top of it. 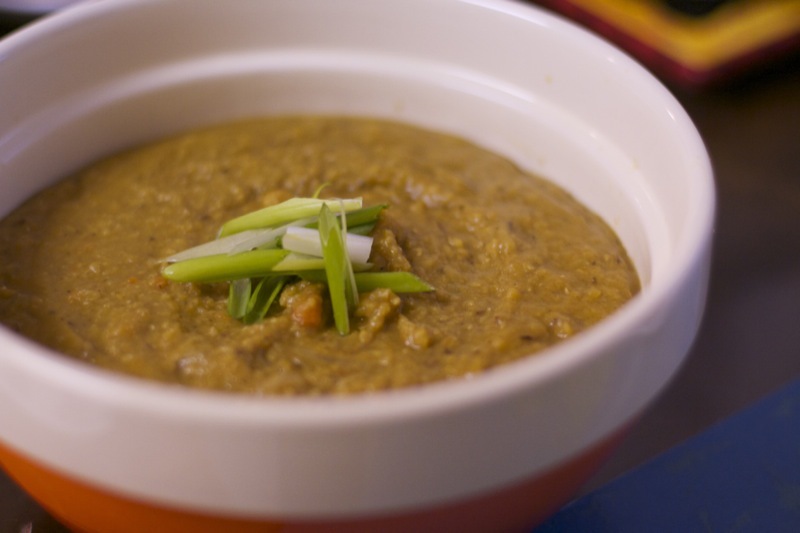 Both result in an intense spicy-savory kick to an otherwise calm daal. All of the spices and flavorings I mentioned above are optional and variable – learning the technique of flavoring the oil is more important than memorizing exactly what to put in it. This will work with many pureed or creamy soups as well – just use the same techinque of putting hardy herbs and spices into a hot oil, and mixing it into the soup. Imagine a rosemary and/or sage tarka over a pumpkin or white bean soup, or a chipotle and cumin tarka over a creamy tomato soup. Explore! That’s a great idea! Although I’ve put cilantro into a tarka at the very end and then poured it on top of the daal. I’ll try it your way next time inshaAllah! JazakAllah khairan for the recipes and the ideas!